I recently hired Affordable Moving to move my Moms items from Middletown NJ to Washington DC. From start to finish everyone from the office staff to the movers were professional, helpful, and very patient. They were very careful moving everything into my Moms new apartment and took the time to arrange the furniture where it worked the best. They really made her feel comfortable. Flawless move and they even agreed to take some of the boxes we emptied to throw out for us. Eric and his crew make a great team and I wouldn’t hesitate to recommend this company. When it’s time for a small move for your home or business, it may be tempting to do it yourself. 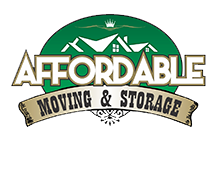 Using a local mover like Affordable Moving & Storage for small moving jobs can save your time, your money, and your back! We’re local. Because we focus our services on New Jersey and the surrounding areas, we are able to complete several small moves per day. We also have in-depth knowledge of New York and New Jersey’s residential areas including apartment complexes, suburbs, and 55+ communities. We work on your schedule. It may be tempting to recruit your friends with promises of post-move pizza and drinks. You’ll be limited to their availability, however. You’ll also be stuck cross-referencing work and weekend schedules to make it happen if you need more than one person. We are experienced. We have the knowledge and resources to protect your items, as well as the walls, floors, and doorways where they’re being moved. We can save you money by helping you move items quickly and without damages. We are professionals. We’re ready to do the heavy lifting for you. We can quickly assess the best way to move even the heaviest of items. Your buddies from work might be willing to haul a couch up the stairs, but what if it doesn’t fit? Can they safely hoist your sofa though a second story window? We can! Small Residential Moves. Whether you’re moving the contents of an apartment or just a few items within your residence, you can rely upon Affordable Moving & Storage. We can safely relocate all your belongings, no matter how fragile, heavy, or difficult to maneuver. Small Business Moves. We aim to help you move your small business with a minimum disruption to your work. From copiers and medical equipment to cubicles and filing systems, we have you covered. Other Small Moves. Even if you only need a single item moved, we’re available to help. We can safely move pianos, refrigerators, gun safes, exercise equipment, and numerous other items. Need a room rearranged for staging or selling your home? Call us. 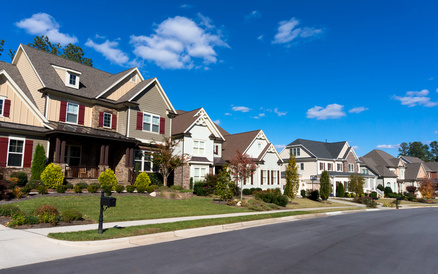 Are you preparing for a small home or business-related move? Please contact us for a free moving quote.